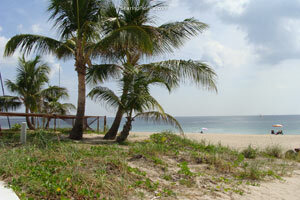 Desktop wallpaper from Ft. Lauderdale, Florida. This is a cluster of coconut palm trees on the beach with some grass area. Photo taken by SharingFlorida.com in Ft. Lauderdale. The size of this wallpaper is 1024×683. The link to the full size wallpaper is below the photo.